We receive many inquiries from people who are concerned about their psychiatric or mental health treatment and are looking for advice and recommendations. These are important questions but often complicated, even when they appear not to be – as for instance someone looking for a “good” psychiatrist. In order to answer many of these questions it is necessary to gather some history. A good psychiatrist for one person may not be a good psychiatrist for another person, with different problems or different needs. We are offering a new service to try to address these kinds of questions more thoughtfully: a single visit telepsychiatry consultation or second opinion. These sessions are scheduled on Saturday mornings use our current telepsychiatry platform (Google Hangouts). Informal Consultation: A 40 minutes visit without any pre-visit history gathering. This is an opportunity for you to ask your questions of a very experienced psychiatrist. Full Consultation: A 50 minute visit with pre-visit history-gathering by an online questionnaire that Dr. Forster reviews prior to the visit. This is a more formal review of your history and symptoms and response to treatment. The current fees for these two types of single visit consultations are $210 for the Informal Consultation and $310 for the Full Consultation. These sessions may or may not be covered by insurance and you must pay in advance of the appointment by credit card. 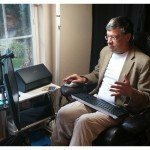 Telepsychiatry – This page provides you with information and how to get started. Beginning a Consultation – Getting Started – This page provides you with important information about the clinic that you should review.